On Wednesday, employees at Star Tickets in Grand Rapids, announced they are formally a union with the Industrial Workers of the World (IWW). According to their Press Release they have “walked on the boss” today demanding a reduction in workload, an employee grievance procedure, and recognition of their union. 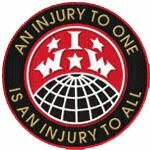 The employees have formed the IWW Star Tickets Workers Union for mutual support and respect on the job. Their intentions are to begin collective bargaining with owner, Jack Krasula, over a work environment that they say has become untenable. Star Tickets, which is located at 620 Century Avenue Southwest #300, becomes the second Grand Rapids establishment whose workers have joined the Industrial Workers of the World labor union in just over a year. Workers at Bartertown Diner, 6 Jefferson St., all joined the IWW in 2011. “During my time here Mr. Krasula has routinely sent us his insights and anecdotes for success. We hope that he will respect our choice and work with us in affecting the context of our daily lives ” said Alisa Stone. The owner of Star tickets, Jack Krasula, who has operated several large business operations and has substantial personal wealth, also has his own radio show in the Detroit area, which offers a daily dose of his own personal philosophy on life. It seems that Krasula doesn’t believe in applying those same principles to those he employs. On Wednesday, the workers filed with the National Labor Relation Board, but as of today there has been no overt reaction from the company to their announcement of becoming an IWW workplace. 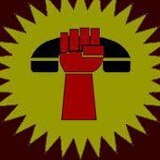 The newly formed union – IWW Star Tickets Workers Union – has created a Facebook page, where they plan to post updates and welcome comments of solidarity.